What a few days at Saucon Valley for the second annual JGH Championship! We want to start off with thanking the AJGA and Saucon Valley for being a pair of extraordinary partners in this championship, we couldn’t have done it without you two! Ergood earns second AJGA victory and Lopez goes wire-to-wire to earn her first victory. Doug Ergood of Mount Laurel, New Jersey, earned his second AJGA victory after a run of six birdies on a nearly flawless back nine for a final round 4-under-par 68. The 17-year-old carded fifteen combined birdies for a tournament total 6-under-par 210. Cory Lopez of Monterrey, Mexico, earned her first AJGA victory after winning in a sudden-death playoff in the Girls Division. The 15-year-old went wire-to-wire after carding four birdies in the final round for a tournament total 8-over-par 224. Kaitlyn Lees of Bryn Mawr, Pennsylvania, finished in second after a sudden-death playoff. She is thrilled to be verbally committed to play college golf at Dartmouth College! Congrats to all the competitors and we are looking forward to next year to host the third Junior Golf Hub Championship! Okay Parents, now you are up! If you’re a parent reading this, it’s because you care. The college recruiting process is truly a team effort! 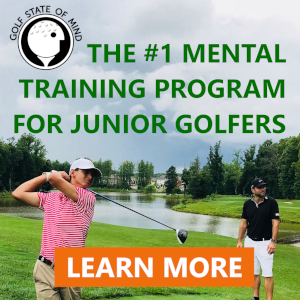 We are thrilled that you have chosen the Junior Golf Hub to support your young athlete’s journey to play college golf! At the Hub, we know there are a few crucial tools you can use to help your golfer. College Preparedness: College golf coaches say that on average their incoming freshman’s scoring averages increase by 3 strokes. The transition into college life may take some time to get used to. If you support them becoming more independent, they will be much more prepared for managing their academics, golf practice, eating routines and their friendships while on their own for the first time. College Research: You remember this process? Where to go? What grades do I need? What do I want out of college? Offer your experiences to help them with their college research. Often the best way to research is to take an unofficial visit to the college to see it from a students perspective. You can learn a lot from just being on campus! Hub Profile: With JGH Premium, this is your trusted resource for all things college golf! Use it to the fullest capacity! Remind them to update their Hub profile, which will keep coaches updated on their tournament rounds, academics and how they are growing as a golf and a human being. Finally: Have fun! We hope this helps you and your future collegiate golfer in the road to college golf. See you on the Hub!